Whether you are a spa, restaurant or retail outlet, your business has a story to tell.  Humans process information exponentially faster with visual media rather than text. 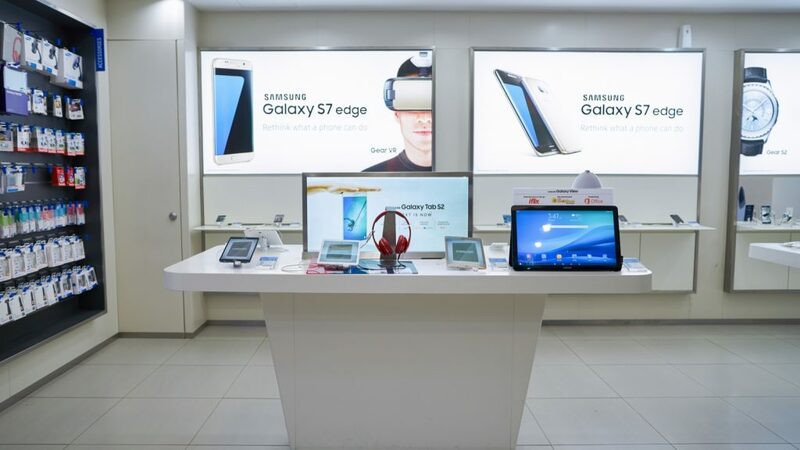 Thus, more businesses are adopting digital signage over traditional solutions due to quite a number of factors. 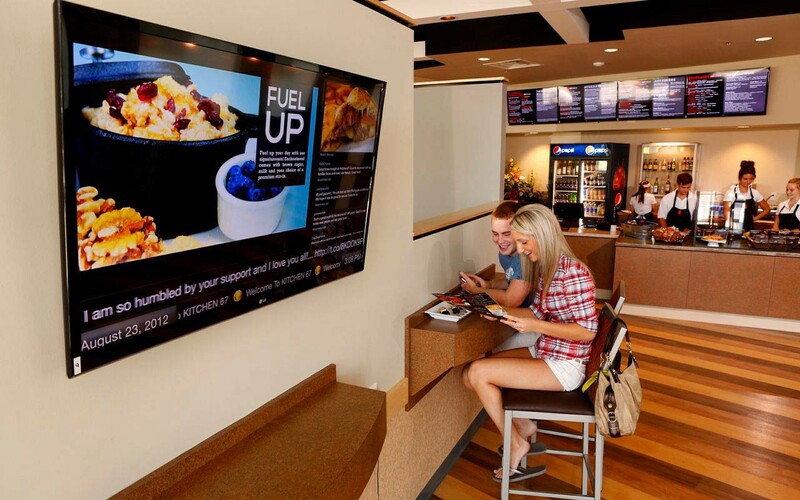 We’ve compiled ten main reasons why you should switch to digital signage now. Using visual displays showcasing your brand enhanced with animation and polish adds a sense of authenticity and respect. Creating that ‘wow’ factor is easier when you have premium displays that can elevate your brand. For not only external customers, but also you can easily communicate with your staff in a break room, for example. The best examples are showing a schedule that is updated from a shift swap or even giving a shout out to an employee for a job well done. With laws for restaurants constantly updating for showing guests the nutritional information, restaurateurs can update their digital menus on the fly, or retail stores can display a board for frequently asked questions about their merchandise. This is something businesses will always try to tackle. One solution with digital signage is to reduce the feeling of waiting through mini-games, animations or even informative advertisements. If your spa or restaurant has a new product or service they want to promote, human eyes respond much better to moving, visual media rather than a still image. Spas can highlight a video of a specific service and restaurants can show the heat coming off their juicy new menu item. Doctor’s offices from yesteryear have the kids’ toys in the corner in a bin. Today, businesses have more tools at their disposal to entertain for various purposes. A simple digital game or even a child-friendly video can have a child’s attention while in the waiting room. Usually, digital signage is associated with simple corporate advertisements. Some businesses are taking advantage of the ability to ground themselves and add personality. Adding short staff bios can go a long way to introduce employees and build that relationship between staff and customers. All businesses want to communicate the why behind their business, and digital signage allows you to do that and more. Doctor’s offices can promote long-term health, whereas restaurants can promote their gluten-free, locally-sourced ingredients. Digital signage is a premium spot to add advertisements for partnerships. For example, a restaurant may have a spot on the back of the menu, where a local brewery can pay that restaurant for the ad space. The possibilities for additional revenue streams are endless. Lastly, and one of the most important features that digital signage can offer, is tying your social media into your business. You can add user reviews, tweets and posts from social media on previous patron’s positive experiences to your signage, giving your current customers confidence in their choice. Don’t underestimate the value of digital signage. It’s hard to look at a blank canvas and know where to start. This requires a bit of creative thinking keeping your media active and engaging. 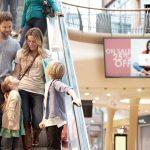 Knowing your audience and being aware of the message are fundamental, but being able to translate it to digital signage can enhance your business in ways traditional media can’t.